FYI, gang! Our supply of GURPS Basic Set: Campaigns is running low, and we're now officially out-of-stock at our primary warehouse. We've scheduled a reprint for later this year &ndash;*September or October release &ndash; so until then, all that will be available is whatever is currently in-stock in game stores, on Warehouse 23, and offered as a special reward level as part of the*Dungeon Fantasy Monsters 2 campaign on Kickstarter. 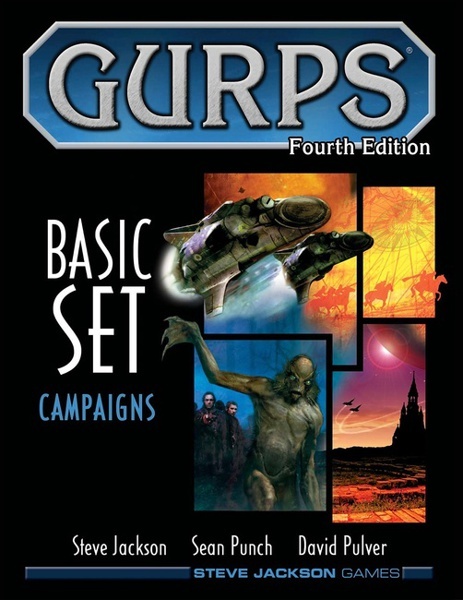 If you find yourself unable to locate a copy of the GURPS Basic Set: Campaigns book, please watch our New Releases page for an announcement when the book returns and begins shipping to distributors. Thanks for your understanding, and thank you for buying up six printings of the book since it was first published way back in 2004! The fantasy-Victorian world of Castle Falkenstein is a perfect backdrop for a*GURPS Steampunk adventure. Use*GURPS Classic: Castle Falkenstein and GURPS Classic: Castle Falkenstein - The Ottoman Empire*to provide background info, character roles, and campaign ideas that help this beloved setting come to life at your gaming table. Thanks to the power of technology, you can download these supplements from Warehouse 23 before your tea is done brewing!